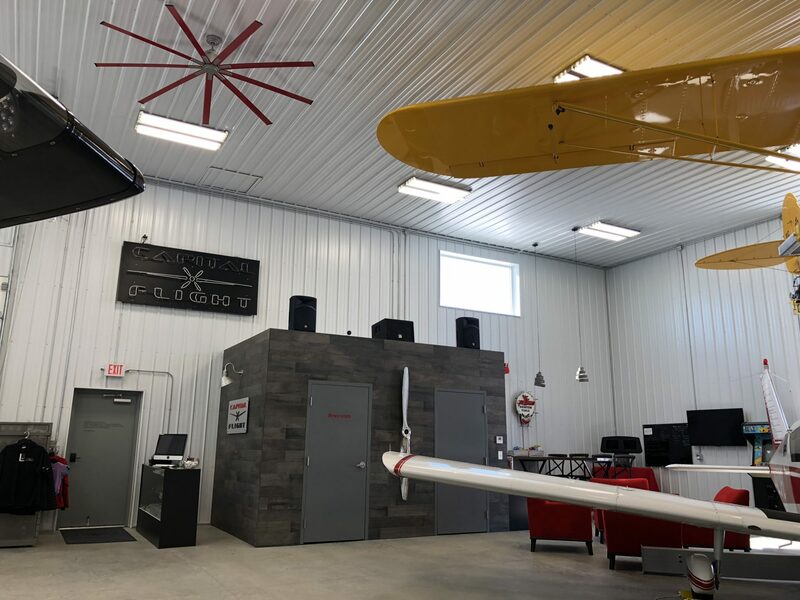 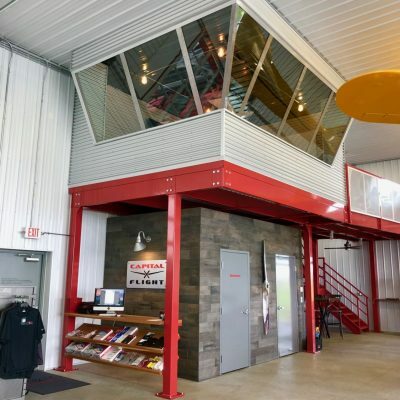 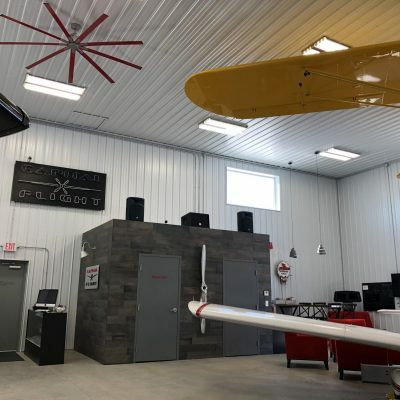 We were contacted by Capital Flight regarding their need for additional training room space in their airport hangar. 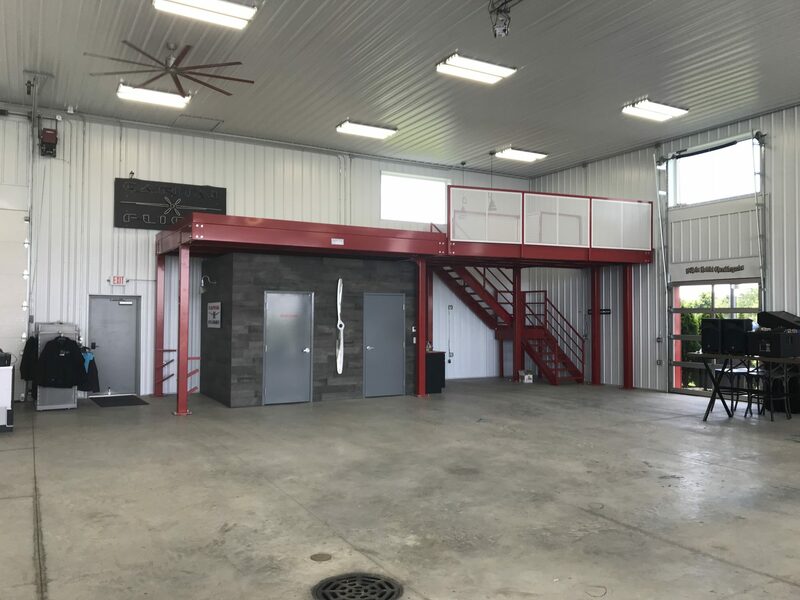 After several site visits and discussing the future growth of their business, it was determined a free-standing mezzanine over the existing structure would be the best solution. 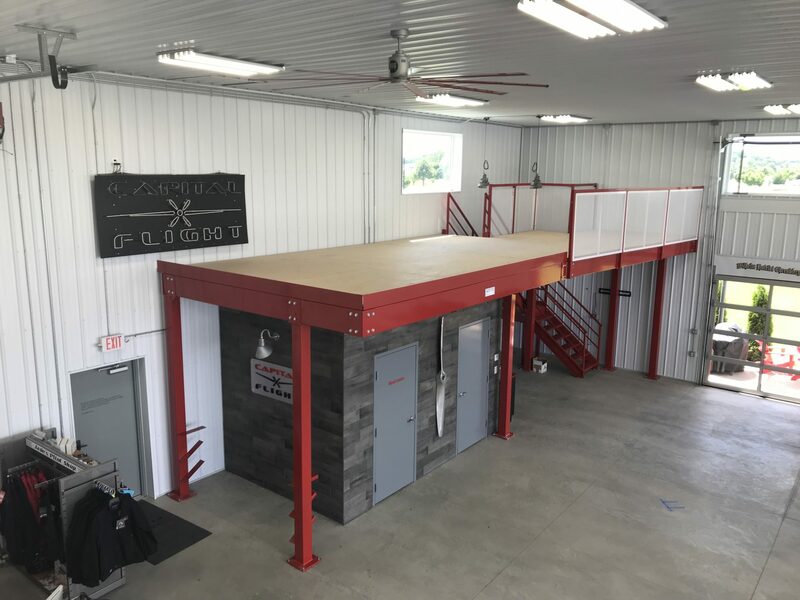 Smith Material Handling worked with Cubic Designs by filling the irregular space with a 9 foot 7 inch clear height mezzanine along with an “L” shaped staircase and expanded metal railing. 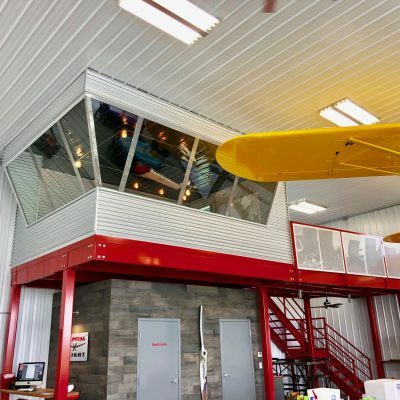 This mezzanine structure is the platform for their custom-built tower which is also their training/meeting space. 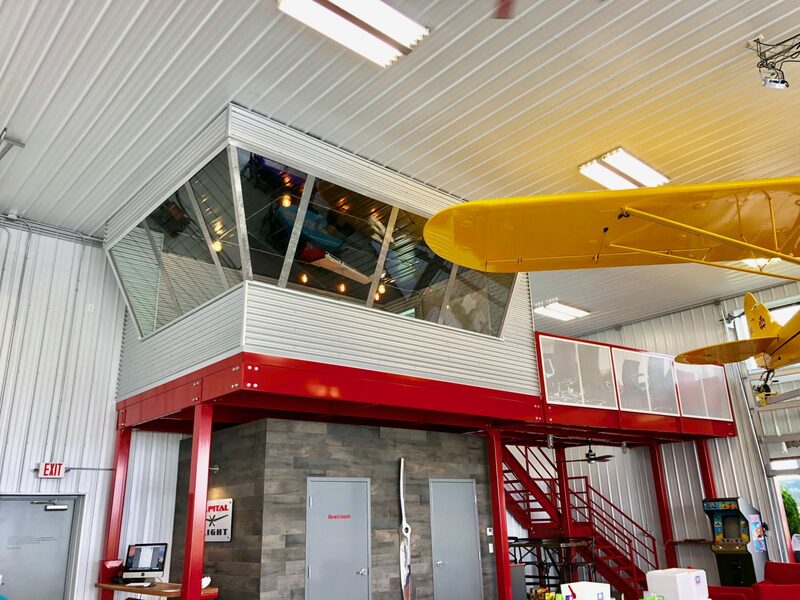 The color selections of the mezzanine added to the scheme of the hangar as referenced on the pictures. 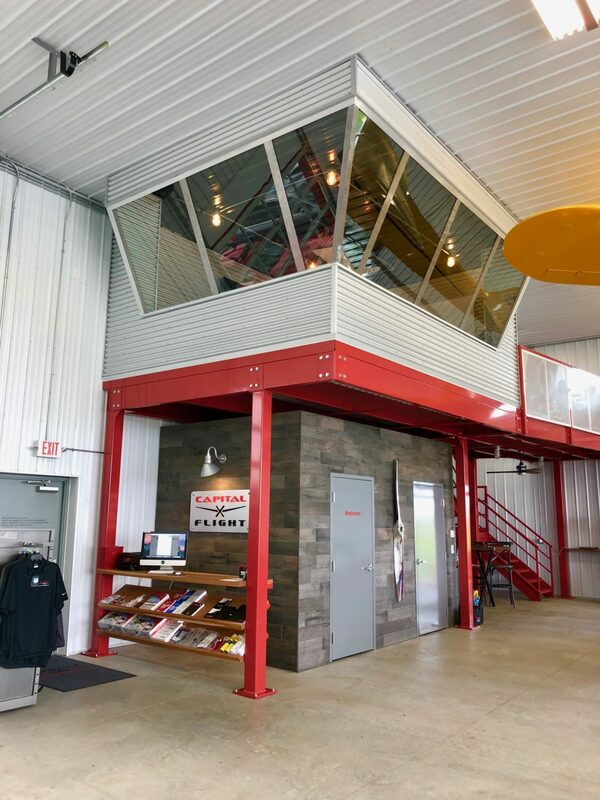 Thank you Capital Flight for selecting Smith Material Handling. 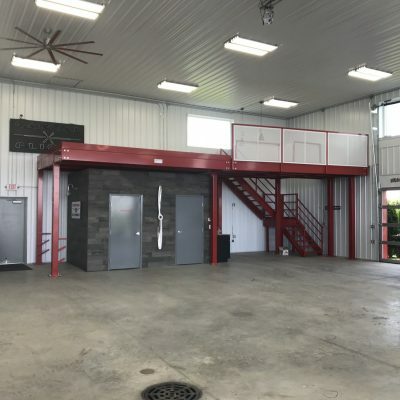 We welcome the opportunity to work on unique applications such as this. 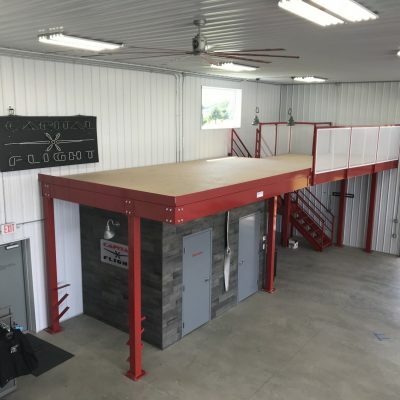 Give our company a call to discuss your project requirements.